Well, if you are like me than you will notice that the genealogies for Jesus listed in Matt. 1 and Luke 3 are very different from each other. Does that mean there is a contradiction in the Bible? The purpose for the list is key. Matthew’s purpose was to prove to his Jewish readers that Jesus was the promised Messiah they had been waiting for from the line of David. Reading his list is like reading a list from the Bible Hall of Fame- you can read about many on his list in the Old Testament (some of them were down right evil!). Luke on the other hand had more names. His gospel was not directed to only Jewish believers, but to Gentile Christians as well. So, it makes sense that he would go all the way back to Adam in his genealogy to show that Jews and Gentiles are related with the common father being Adam. I went to the effort to explain this because I wanted to make a point. What seems like a contradiction at first (biblically speaking), usually turns out to have a logical explanation after a little digging. At times, when reading about the Jewish people in the Bible, it seems that many are “spiritually bankrupt”. Especially the one’s that are supposed to be the leaders of this monotheistic religion; the kings, Pharisees and teachers of the law. Yet, in these beginning chapters of the New Testament, it is inspiring to read of lives that were very committed to God and the promise of the coming Messiah, even though there was a “quite period” of 300 years between the Old Testament and Jesus. Yesterday we heard about Zechariah and Elizabeth, who were “righteous in the sight of God.” (Luke 1:5), and today we read about the steady faith of Simeon and Anna. Simeon was told he wouldn’t die until he got to see the Messiah. That leads me to believe he was on the older side. We know Anna was old at 84. How inspiring to read that these two did not give up on their hope even after years of prayer. Welcome to reading the New Testament in 88 Days! You are being eased into it slowly, only having to read less than 2 chapters today. I hope you find that your daily reading becomes the favorite part of your day! Some days you may not get much out of the reading, other days it may feel like it is speaking straight to you. I hope you share those moments with me on the blog! Don’t you think it odd that most people today would accept everything I wrote about Cleopatra as fact, yet when they hear about the history of Jesus they become skeptical and want to toss it into the fiction category? Feel free to comment on anything that stood out to you in your reading. I would love to hear about it!! The New Reading Plan starts today!! You will need to print out the reading plan for this one! We will be jumping around quite a bit to try to read the New Testament chronologically. You can find the reading plan on the 'Spiritual Fervor' tab. I hope you are as excited to start as I am!!! That answer disturbed me for two reasons. First, because of the verse written above, I am one of those who do believe in punishment for the nonbeliever. It is very painful for me to imagine anyone I know and love choose that end.😨 The other reason why it was disturbing is that some of his believing friends don’t believe their will be eternal damnation…just be a good guy?…they are missing the fact that God is just and there will not be a happy ending for those listed in Rev. 21:8. Those that just want him to be a good guy are being the ‘Cafeteria Christians’, that I mentioned on a previous blog, picking and choosing what verses they want to accept or not. Our reading today shows us, there is an ending; a happy one for believers and a sad one for nonbelievers. This fact should make us sad enough for the nonbelievers that we want to do our best to convince them of the reality of the ending. But, bottom line, God has given each of us the choice. If some choose to persist in their unbelief it is because of their own stubbornness (Rom 2:5). I pray for this friend of mine that he stops being so stubborn! Well, we conclude our reading of the New Testament today. Congratulations and good job!!! I hope the reading has drawn you closer to Jesus! Keep up your new habit! Join me again tomorrow, reading the NT chronologically! Ok, you might be getting a little tired of me mentioning my geology class, but I can’t help it! My Bible reading today reminded me of the subject! My son took Geography last year. I happened to read the introduction to his text book, “Everything in this book is based on the assumption that earth processes have always proceeded as they do today” (Slowly). That is how geologists get the ages of rocks to be billions of years old. New Earth geologists, on the other hand, believe God has interceded, moving things quickly to begin with and then slowed it down. Today, I read, “Then there came flashes of lightening, rumblings, peals of thunder and a severe earth quake. No earthquake like it has ever occurred since man has been on earth, so tremendous was the quake” (16:18). Think about it, God created the world and it was covered with water at first ( Gen. 1:6), then he lifted the land and separated the water and created dry ground (Gen 1:10). I bet there were huge earthquakes happening to accomplish this task!!! Mountains and valleys formed because of those quakes. Now jump back to Revelation, “Every island fled away and the mountains could not be found.” (16:20).😳 It sounds like God is going to use the same mechanisms to end the earth as we know it, as he did to initially create the earth’s topography. Earthquakes will once again change the elevations of the land, bringing down what at one time was lifted up. It makes sense that if mountains level out, waters would rise covering islands. And it sounds like it won’t take billions of years…. it’s going to be fast! We start the 88 Day reading plan on Thursday!!! I printed out my reading plan today! I got it off the Spiritual Fervor tab on the blog. I am excited to get started and I hope you are too! Invite a friend to read along with you!! If you have decided not to read on this go around, please feel free to unsubscribe yourself. I will not be offended and you won't be bothered with the daily email notice. However, in our society we are anything but patient! We are a culture of instant gratification, wouldn’t you agree? So, if the Bible teachers patience, who do you think formed our culture to be the exact opposite? Hum?…..could it be….Satan??…. Lam 3:25-27, Psalm 40:1, 2 Thess 1:4, Romans 5:3, 8:25, 12:12, James 1:3, Colo 3:12. Do you have that type of patient endurance?…..
What a suspense filled day of reading! Especially the events in chapter 12! My commentary said something interesting that I never knew before. The woman we read about in Ch12, “a woman clothed with the sun, with the moon under her feet and a crown of twelve stars on her head” (12:1), yeah, that one….she symbolizes the “believing Messianic community”. I don’t think I would have figured that out with out my commentary! Bible scholars come to that conclusion based on “similar language describing the rebirth of Jerusalem in Is 66:7 and Micah 4:10. So, during the end times, there will be a rebirth of sorts of Jewish people turning to Jesus as their Savior. You know Michael, the angle? In Daniel 12:1, he is described as, “ the great prince who protects your people (the Israelites)”. Apparently there is a ranking of angles, kind’a like the military- that protects different groups or regions. Michael is the protector of the Jewish people, so it makes sense that it would be him and his squad that would be fighting to protect this group of Messianic Jews (12:7). And what excitement!! This group of new believers will be protected for a time, but Satan does his best to pursue them!! Eekk!, …she flys away, he chases her, spews water,….even the earth steps in to protect her! Exciting stuff!!! I get that, especially as we read how devastation comes with each new seal being opened. Yet, there is another way of looking at it. Today, as I read, I realized my mind had been prepared yesterday by focusing on the majesty of God (our little sneak peek). So today, I was actually happy for that “great multitude, from every nation, tribe and language”(3:9) that came to their senses!! They did not “hide in caves and among the rocks of the mountains” (6:16), wishing they were dead rather than face “him who sits on the throne.” (6:16). Instead, they turned to Jesus! They “washed their robes and made them white in the blood of the lamb” (7:14). That’s fun to read!!! There will be a lot of people who will see that they are in the end times thus turn to Jesus as their savior, yet before they get to that point, they will suffer. They will probably suffer from hunger, thirst, and scorching heat (it says they will never suffer from those things again in 7:16). It was in their suffering that some figured out the truth and repented, while others refused to acknowledge the truth, and stayed in their sin (9:20). Doesn’t that sound like us today? During times of suffering people turn to Jesus. Yet there are always those who don’t or won't no matter how bad it gets. I am just going to focus on the positive of the story. It doesn’t matter what drives people to Jesus as long as they eventually turn to Him as their savior. My prayer for the ones I know and love, is that it won’t take such suffering for them to figure it out. Okay, let me explain, you may have heard, I am taking a geology class right now. I am really into rocks and minerals at the moment. So, I am sure you can now understand why I focused on this verse~ it has to do with gems!! Here we are in Revelation, the very end of the Bible, and God gives us a sneak peek to what he looks like! We know that no one has seen God (1 John 4:12), yet John, when he “was in the Spirit” was able to see what no man in the body could. In his description he sees “someone sitting on a throne”. So God is someone (in human form). 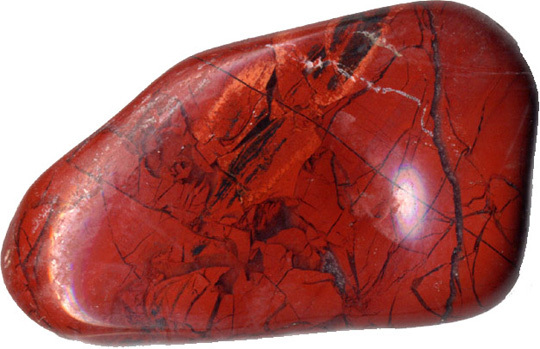 He also has a color; he is so radiant, John didn’t feel that “red” described him well enough. 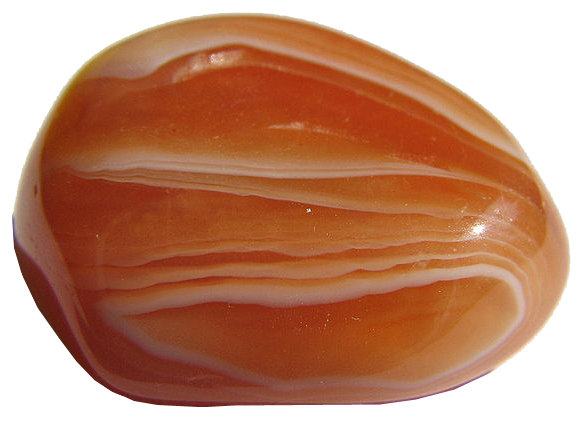 He chose to use stones that had a translucent quality to them, to describe what he was seeing. Since I am a Jesus/God groupie, I’ll admit, I stalk them! I want to know everything about them! So this verse was kind’a exciting for me…..It leaves me wanting to see more and know more; just like a preview to a movie is supposed to do! Jesus is addressing “churches”- groups of people in each of the seven cities, who claimed to be Christian. Remember on Day 77, when I mentioned a theologian had cleared up something for me. Not all the people in these audiences are believers even though the writers are addressing, “brothers”. Some brothers are true believers and some are “mere professors in Christ”. Well, bringing that idea over to this revelation given to John, helps make this section of scripture clear to me as well. I think Christ is being pretty clear here that these churches are just such groups of people. Some get the whole “good news” and some do not. Yet, in the same church, Jesus addresses the “mere professors”. They were the ones that needed to “remember” the truth they had learned and truly “repent”. These people knew enough to hate idolatry and immorality, practices of the Nicolaitans (2:6), but they hadn’t realized that even though they were “good people” they still needed a Savior. 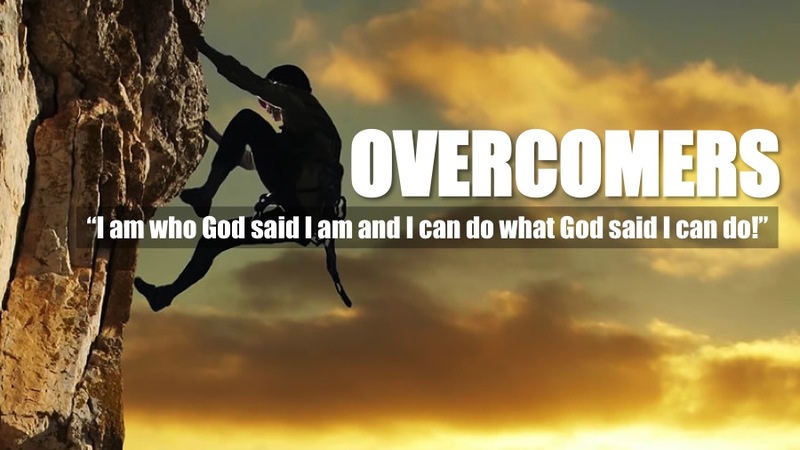 When and if they figure that out, Jesus promises they too can be “over comers” and receive eternal life (2:7). The same goes for the church in Pergamum. Some had genuine faith and they did not renounce it even under persecution. However, Jesus clearly states that there are others that don’t get. They don’t have that faith. They are deceived by false teaching. Again, Jesus is giving them a chance to repent (2:16). I think these warnings are very sweet on the part of Jesus. He knows each individual’s heart and is sending his warning forth to each individual even though he is addressing the whole “church”. I also think these warnings are very sad. There are people in churches that go regularly, identify themselves with the church, yet they don’t get it. They haven’t completely turned from their sin and repented. Yet, Jesus has given fair warning…. I guess that is why I started this blog. I am wanting everyone I know, true believers and mere professors to hear what the good guy has to say to them. …So…in order to be loving to others….we need to obey God’s commands. In other words, if you are not obeying God in your own life….you are not loving others. It reminds me of something I learned in a parenting class when I was pregnant with my first baby. The instructor said, “The best thing you can do for your baby is to love your spouse.” Then the child sees the harmony in that relationship and feelings of security result. Security is what the child needs most of all. Here I was in a class where I expected to learn how to care for my child in the best way possible, but instead the teaching was on how to care for my marriage. The end result turned out to benefit the child. In the same way, this verse in 2 John points out the way to correctly love others is to focus on your relationship with Jesus first. Anyone can be kind to others. Non-Christians can be kind to others. Opening a door for someone, cut the neighbors lawn, bring a meal to someone post surgery; these are all kind acts. But, if you are not right with God and obeying him in your life, you are not loving your neighbor, no matter how many kind acts you do. The true act of loving others is showing them Jesus. This verse is basically saying, it’s impossible to show Jesus to others if you are not obeying Him. I had never read this verse like that before…..again, another paradigm shift for me…. Starting a New Reading Plan September 28th!!!!! Join Me!! The plan is different in a couple ways from what I have been doing. First, it's two days shorter than the 90 Day plan. That is because I wanted to finish before Christmas Day. 😊🎄 So, consider reading the whole New Testament in 88 Days with me! Second, I will be reading in chronological order, meaning, in order of when events occurred. That is most noticeable as we jump around the gospels, but there are some differences else where among the letters. The reading is still about three chapters a day. I would love to have you read a long with me and comment on what stands out to you! You can find the new reading plan under the "Spiritual Fervor" tab. Hope you can join me!! But if you look closely at 1 John 5:5, the verse answers the question with, “Only he who believes that Jesus is the Son of God.” That would be us! You and I have also overcome the world!! That means, if there is an area in my life that I know is not right and pleasing to the Lord, I can change it! I am not at the mercy of my sin. I have overcome it! John is writing these people to remind them of this fact. Good thing we got the reminder too! What stuck out to you in today’s reading? I think Christians have a hard time believing that, much less saying it. But the fact is, if you are a true believer-you are righteous right now. This is not a future achievement. It’s now! So, say it! “I am righteous”. So claim it! Live it! Believe it! Do not let your heart condemn you and tell you otherwise! (3:20) You already are righteous if you are a true follower of Christ! Only ten days to go to finish the whole N.T.!! I hope it’s been good reading for you! After day 78 & 79, talking about being holy, we start 2 Peter with the same theme! I think God is trying to get a message across! So, why does God want us to be holy? He wants us to know him better! Well, I have to say, that created a paradigm shift in my thinking! We are holy first in order to understand Him better. I like the analogy that was mentioned yesterday about being in union (married) with Christ. Then as the marriage goes on, the bride gets to know him better than when she first married him. She knows how he will react and what he would say in certain situations. His likes and dislikes become hers. Some say they even start to look alike! Keeping that analogy in mind, when I go back and read 1:5-8, it makes so much sense! Start off your union with God being holy; doing good things for your husband and leaning more about what He likes and dislikes. Reading his word (1:5), using self-control (1:6), etc. As a result, you grow in your understanding of who you married. Was that a paradigm shift for you as it was for me? 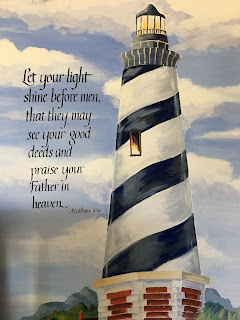 This verse stood out to me because a similar command has been painted on my boy’s bedroom wall for years. It makes sense that Peter would be teaching exactly what he himself heard straight from the master teacher’s mouth. 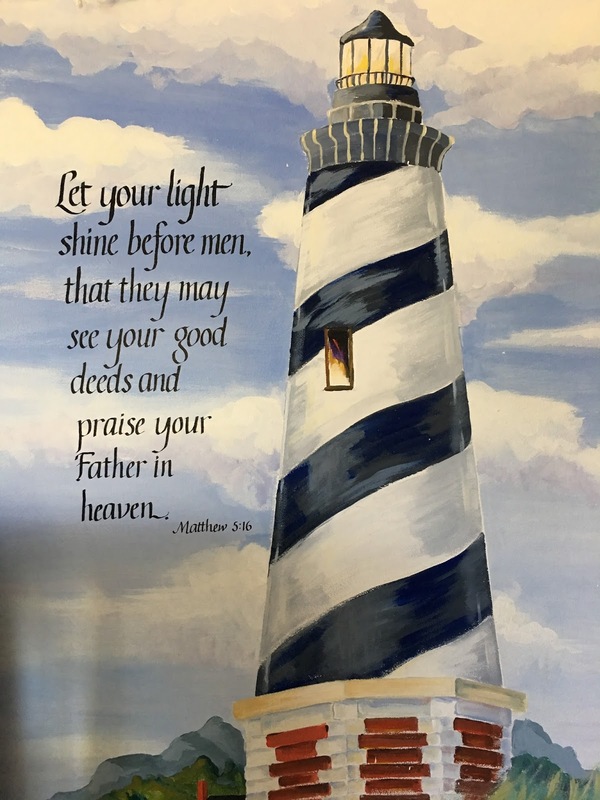 Even though we learned as children, “This little light of mine, I’m going to let it shine,…” 🎶, it seems like Christians have gone into hiding. Let me explain. I am reading the Old Testament right now, so I am acutely aware how God commanded the Israelites to be a holy people; to set themselves apart from the countries surrounding them. They were to be different in how they dressed, wore their hair, what they ate, and who they married. The rules were even more strict for the Levites, the ones who did the direct ministering in the temple. All these outward signs set them apart from the ordinary. They were a holy, consecrated (set apart to be sacred) people for the Lord. Boy, if we really had a union like that with Jesus, everything we did would be holy! Every aspect…what I wear, eat, say, do, see,…. James can’t be referring to just an inward change that no one can see because the writer of Hebrews just got finished telling us, “You see that a person is justified by what he does and not by faith alone.” (2:24). But what about a suburbanite, Christian doing yoga next to another suburbanite, non-Christian? How would you be able to tell one from the other? Right on the heels of my comments yesterday’s reading “And without faith it is impossible to please God.” (Hebrews 11:6), today we get a more complete picture of what “faith” is exactly. Today I read a well known theologian named Jack Arnold. I like how he clarified the audience of all letters to “brothers”. I always assumed that brothers meant true believers. However, that is not the case. There are “true believers” and there are people in the audience who are “mere professors in Christ”. The letters we read that contain clear warnings and are meant to bring “mere professors” to the reality of true faith or weed them out from true believers. This was a concept I really needed to get clear. When the letters are written to “brothers”, some are true brothers and some don’t quite get it yet. However, our culture today does not see the distinction. They believe all ‘brothers’ are true believers. They read what Jesus says in John and stop right there. However, we must go on to the expanded definition of “believe” that is given by the Holy Spirit to Paul, the writer of Hebrews, James and Peter. We need to remember that their words are as if they came straight from the mouth of Jesus. Jesus said, “But when he, the Spirit of truth comes, he will guide you into all truth.” (John 16:13) Therefore we cannot focus on certain scripture and avoid the others. The other scripture has been written by the Spirit that guides to truth. That being said, there are some that look like brothers, sound like bothers….but are not brothers, and the writers of these letters knew that. That is why they are giving the warnings and more through descriptions of what faith/belief entails. They wanted to bring these “mere professors” into the true faith that others in the room already had. People today seem to have no problem believing something came from nothing. Nonbelievers just don’t like the part, “the universe was formed at God’s command.” (11:3). Yet it is only those that have faith, God was the one who created it all, that actually “please him” (11:6). So, when we start getting wrapped up in our tiny little world of materialism or whatever else entangles us, we need to remember & remind each other, “God has planned something better for us…”(11:40)……Oh man! I am giddy with excitement just thinking about it! Reading chapter 10 made me think of a political rally the night everyone is waiting for the results of the election. I remember watching one group filled with joy and excitement at the start of just such a night. As time went on, their excitement waned. Eventually, before the race was officially called, the people slid away leaving the convention center near empty. The majority left thinking their candidate didn’t have a chance. The real committed ones stayed to the very end. The writer of Hebrews is trying to get these believers to remember back to the beginning when their excitement was at it’s peak. When they had such strong convictions they were willing to be persecuted for them. And they were persecuted! People insulted them for their beliefs or they stood by others who were being insulted (10:33). Stay with people who believe the same as you. Don’t listen to the majority that will make you want to leave the convention center. Have you noticed that the writer of Hebrews talks about “the end’ a few times?! and the one that stuck out to me in todays reading (6:11). The writer of Hebrews is trying to establish these believers in a faith that is not faulty. He doesn’t want these Hebrews to have a faulty faith that is stuck in elementary teaching (6:1), or a faulty faith that is stuck in disobedience (4:6), or a faulty faith that swings from belief to unbelief (3:12). I think I feel the hardness of life even more as I get older! Sometimes it’s hard to get out of bed! It’s hard to exercise, eat right, communicate with others, see clearly, get everything done, train the dog, train the husband, grieve the loss of a dog, remember names, keep things clean, keep things working, etc. I definitely feel I live by the law of thermodynamics: everything goes from order to disorder! Ahhh, that sounds wonderful! Strange, I never really pictured heaven as a place where things would be easy! i.e., I will understand what you mean by what you say, you will understand me! We won’t have to work at being understood….That sounds heavenly! We will be doing something, but it won’t be hard, burdensome or draining. I can’t wait!! Yet, the rest has already begun for us who have accepted the work Christ has done. Even at this moment we don’t have to work for our salvation. Christ did the work and we can rest, right now, in that. I’m taking a geology class right now! Why? Because I just find it fascinating now God made the land structures around us. How beautiful! So true! So comforting! When learning how big the universe is……it’s actually quite mind-blowing to think how big God is…..